An international team of scientists discovered that labiodental sounds such as "f" and "v," made by touching the lower lip to the upper teeth, are a relatively recent development in human speech. They may have appeared starting with the Neolithic Revolution, 12,000 years ago, when many human cultures around the world changed their lifestyle from hunting and gathering to agriculture. 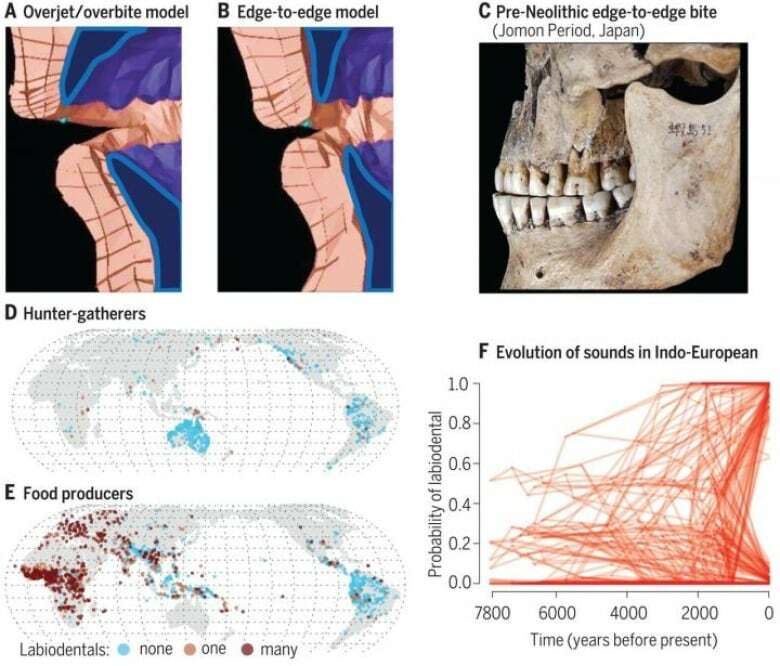 Researchers suggest that the dietary changes induced by the transition gave modern humans a slight overbite, which made "f" and "v" sounds easier to make. The new set of labiodental sounds that appeared as a result of this biological change may have potentially changed the course of language for many cultures. This new finding contradicts old theories that believe the range of human sounds has remained fixed throughout human history since the emergence of Homo sapiens around 300,000 years ago. In 1985, famous American linguist Charles Hockett observed that languages that feature labiodental sounds are often found in societies with access to softer foods. Hockett's theory was dismissed at the time, but the researchers recently revisited his theory, and found evidence that it may well be correct. "The main idea is that the consistency of food we eat has an effect on the configuration of our mouth and teeth," said Dan Dediu, an author of the paper and a fellow with the Laboratoire Dynamique Du Langage at the University of Lyon in France. 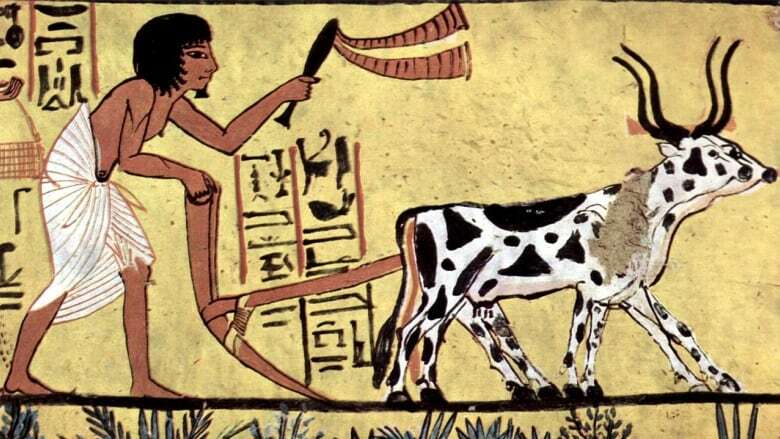 According to the theory, before the dawn of agriculture, the tough and chewy food we ate led to the growth of a jutting lower jaw and an edge-to-edge bite which made labiodental sounds harder to make, and so they didn't feature much in languages. But with agriculture and more soft food, our lower jaws grew less and these fantastic fricatives became vocally valuable. The authors of the paper set out to test Hockett's theory and did a large scale analysis of the hundreds of languages spoken by present day hunter-gatherer groups. They found that "f" and "v" sounds are much less frequent in hunter-gatherer languages compared to agriculturalist languages. Some hunter-gatherer groups in Greenland, Australia and South Africa don't even have "f" and "v" sounds in their languages, Dediu pointed out. And if they do, they have often been acquired them through contacts with Europeans. "The findings suggest that our biology actually matters for language," he explained. "We think language is not linked to biology sometimes, but you actually have to consider the speakers of the language and our individual variations because it matters." What would happen to the prairies if we stopped farming them?